Lumbini in southern Nepal, on the border of India is the birth place of Buddha, who founded Buddhism. Pilgrims come every day from all over the globe to pray and visit the exact spot where Buddha was born under a Bodhi tree. 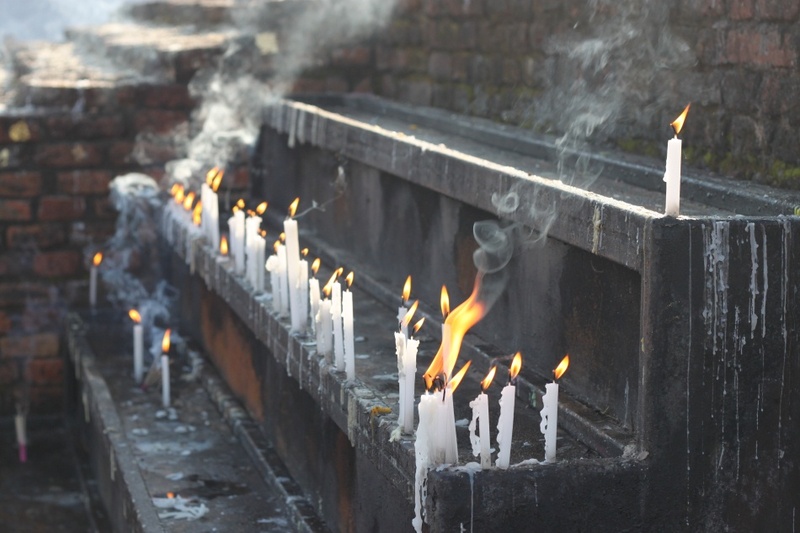 Thousands of candles are lit and carefully placed, eventually turning into puddles of melted wax that the monks have to clean up!